Give your t-shirts, shirts, and blouses a new lease of life. Use Deo-Go to remove yellow and discolored armpit stains and the built-up deodorant. Deo-Go is applied directly and worked into the stained area of clothing and then left to work for a short period before being washed according to the garment's normal washing instructions. Deo-Go's active ingredients target the antiperspirant or deodorant residue build-up, dissolving and completely removing the stain, restoring the garment's original appearance! Although a garment may appear to be bleached, faded or stained beyond the point of revival, this is not necessarily the case. 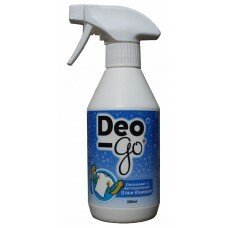 Deo-Go can save it! 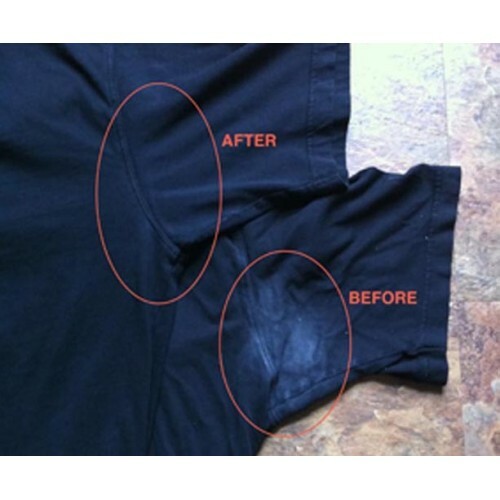 Deo-Go has been tested extensively on different garments and fabrics, many with extreme staining, and has always been successful in restoring them to their original condition. Never throw another stained shirt away, use Deo-Go and prepare to be amazed by the results. NOTE: Always test for colour fastness before using.